Baby, it’s cold outside…and snowy…and windy. I don’t know about you, but this weather makes me want a nice comforting meal. A nice comforting meal without all of the extra calories of a nice comforting meal. Doable? Oh yeah. 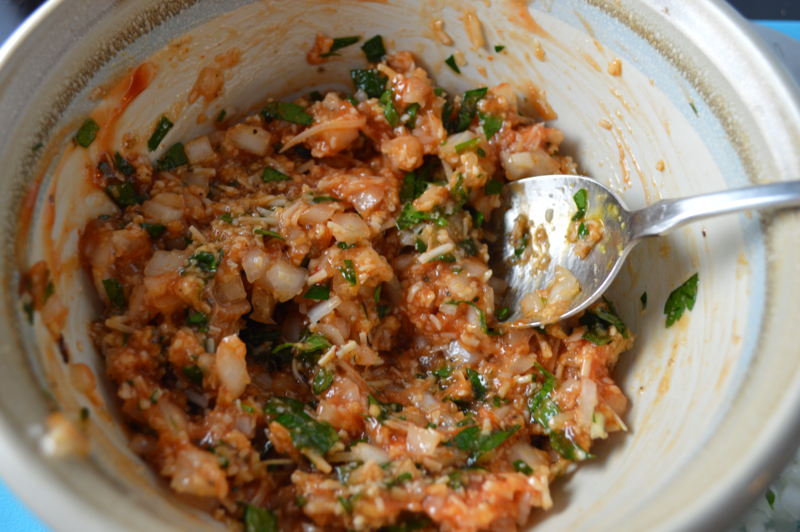 Now, this recipe isn’t earth shattering in its creativity, but it is damn delicious. I swapped the pasta for spaghetti squash and the meatballs are made with turkey. 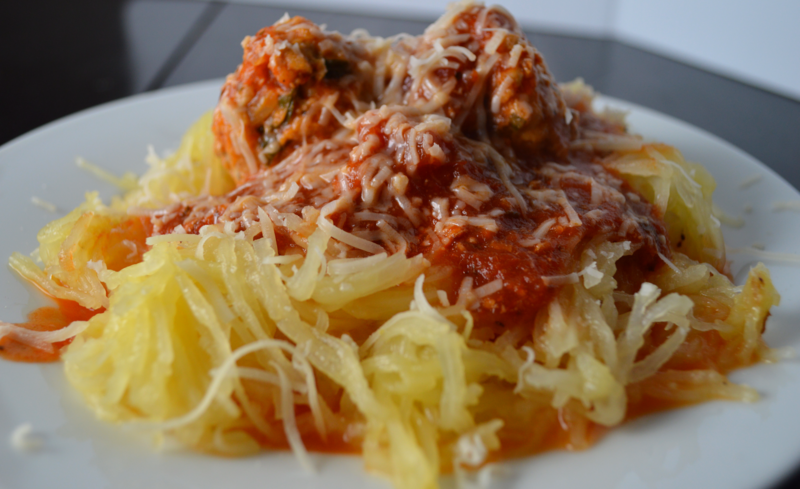 Simple swaps that really cut down the calories and allow you to enjoy a big ol’ plate of spaghetti squash and meatballs. 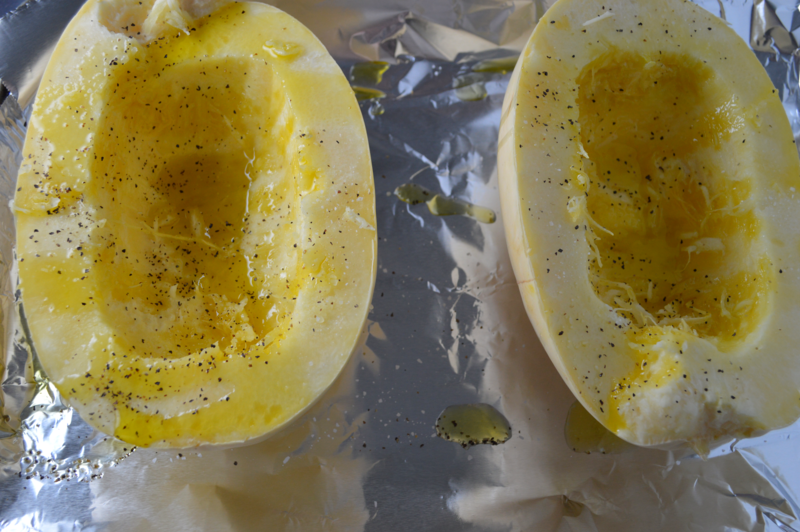 Cut the Spaghetti Squash in half lengthwise and remove the seeds with a spoon. 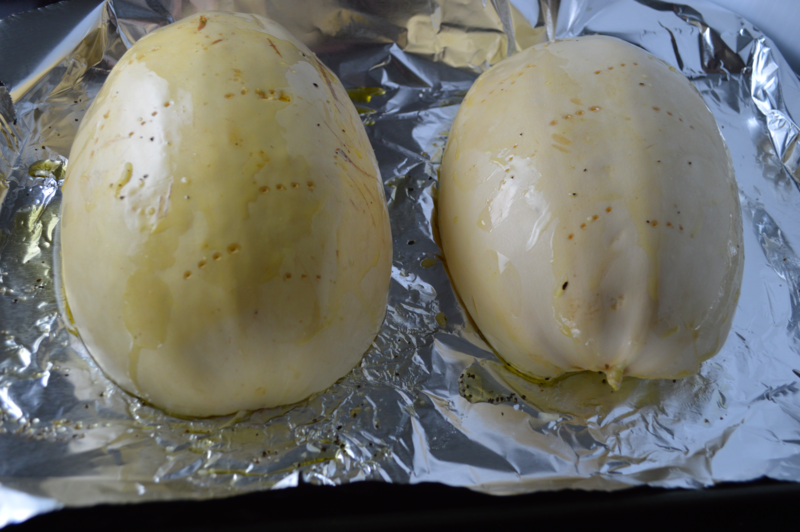 Place the squash on a parchment or foil lined baking sheet. Sprinkle with salt and pepper. Drizzle with olive oil making sure the squash is coated. Add a splash of water. Bake in the oven for 40-50 minutes. Let cool and shred with a fork. Meanwhile, pour marinara into a saucepan and heat on low. Stirring occasionally. Line a cookie sheet with parchment or foil and spray with olive oil. 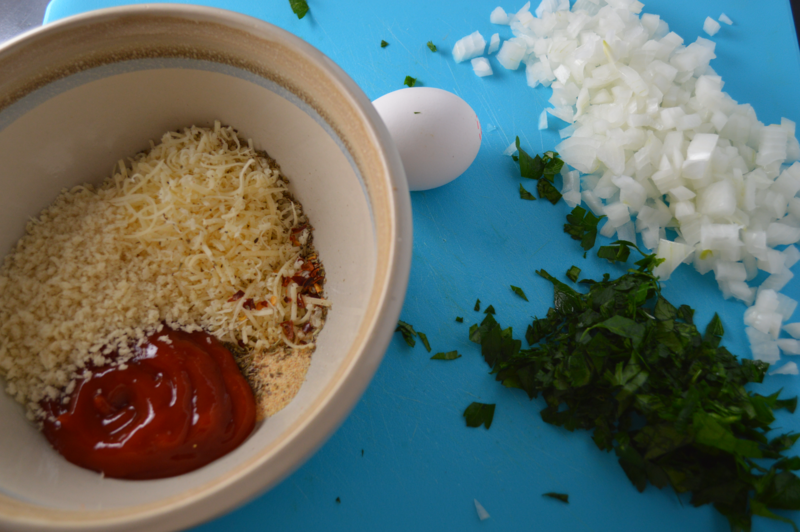 Mix together the onion, garlic, ketchup, parmesan, breadcrumbs, italian seasoning, parsley, salt, pepper and egg. Add the turkey and mix only to combine. Roll the meatballs. You can use an ice cream scoop for this if you are worried about them being exact. I just eyeball them and tend to go on the smaller side. They’re cuter that way. 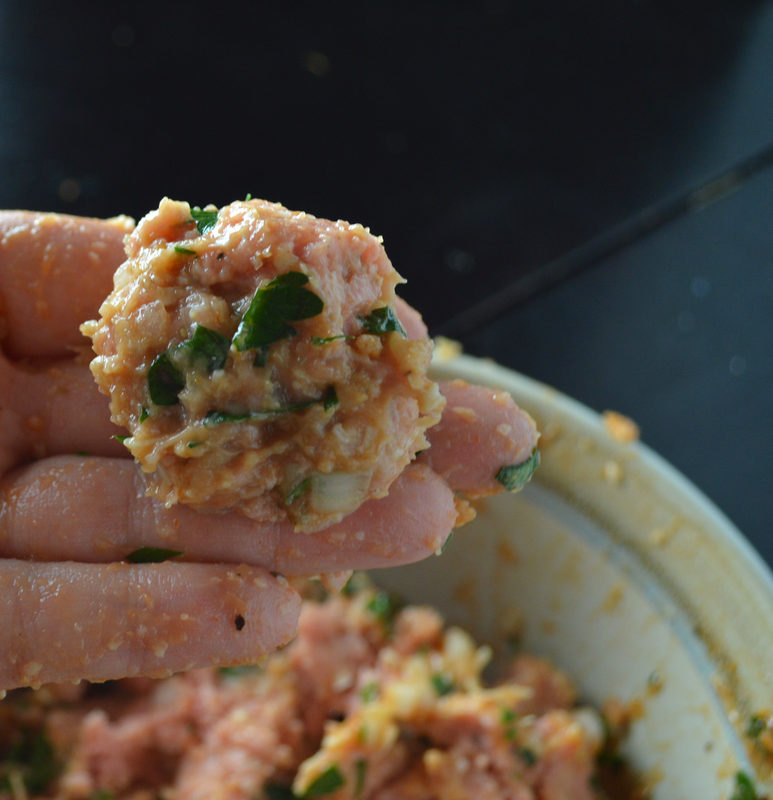 Bake in the oven until just cooked through, about 15-20 minutes depending on the size you make the meatballs. 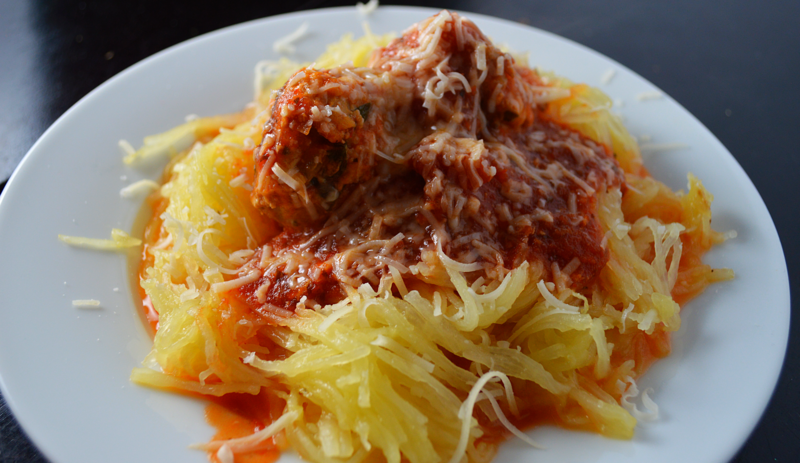 Transfer the meatballs to the hot marinara and serve over spaghetti squash. Enjoy!